You are here: Home / career change / Locums – Could It Be For You? Locums – Could It Be For You? “What do you think about my doing some locums? 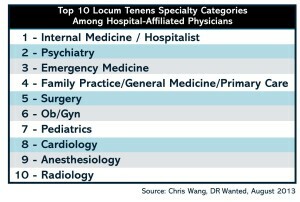 Would that look bad on my CV?” I’m often asked this question, as many of my clients are redesigning their careers, and locum tenens offers flexibility, income, and a way to keep a stethoscope in the door. While my clients may like the idea in theory, some are skeptical. In addition to the career image concern, they have questions about the logistics and some have been burned by shady companies or recruiters. 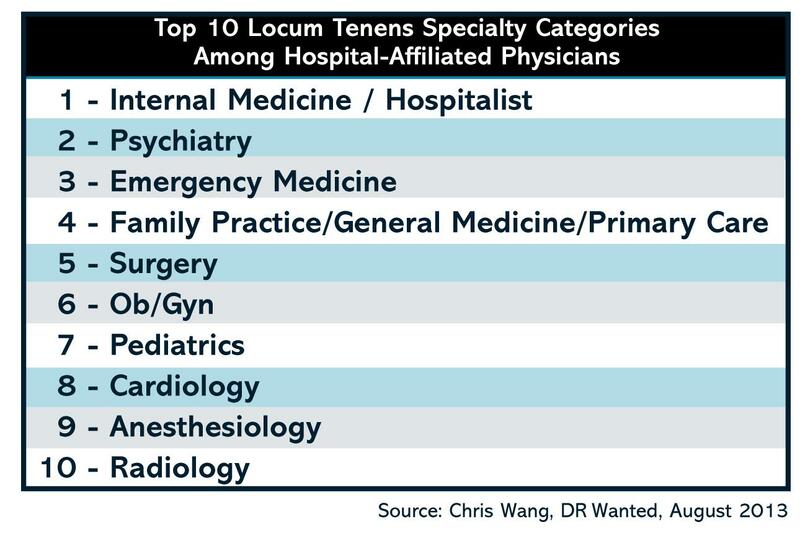 I have clients from diverse specialties doing locums, both short term and on a continual basis, who are happy with this option. And I hear stories from others about being courted by recruiters for a job, only to be dropped like a hot potato. Then there is the situation where the reality of the assignment is very different from what was advertised, and there you are, stuck. Wanting to get a clearer picture, I interviewed experts from both sides: Dr. Lynette Charity is an anesthesiologist who has been doing locums for 14 years. Wendy Barton is senior director of subspecialties at CompHealth, where she has worked since 2008. I chose CompHealth because this company is one of the favorites among my clients who do locums, and I contracted with them when I had my dermatology practice. Dr. Charity does not linger on the short-sightedness (I’m biting my tongue here) of others. She knows what she wants and why. “Doing locums has given me the freedom of choice regarding WHEN, WHERE and HOW I practice medicine. I like the control I have over my time. When you are in a busy practice, someone else dictates what you do and how much time off you have. They call the shots. With locums, I am, ‘The master of my fate and the captain of my soul’,” she concludes, referencing the famous line by William Earnest Henley. In another example of adapting, OB/GYN physician, Dr. Melissa Wolf describes her locums assignment at an Indian Reservation, “The locums job was quite unique because it was in a tiny town on a reservation in a 20 bed hospital. I was covering a midwife there for OB because the only doctor in the entire town went on a cruise. I had to do one c/section there with a surgical instrument set that was entirely unfamiliar and with no assistance, so that was good practice for Doctors Without Borders I guess. The funniest part was that there were no hotels in the town so they put me up in the nursing home about a block from the hospital. It had 1950s décor and my neighbor was 90 years old. It was a total adventure, but I’m glad I took the job.” At the time of this writing, Dr. Wolf is leaving for her first assignment with Doctors without Borders in the South Sudan, where the maternal mortality rate is reportedly 1 in 7. Extreme locums?? Step One: Contact a recruiter to discuss your preferences and qualifications, i.e., short term vs. longer term assignment, location, how much you want to work, your availability, what procedures you do, etc. Step Two: The recruiter shares possible options with you. You decide which ones you are willing to take. Step Three: You are presented as a candidate to the client, along with other physician candidates. The client chooses which doctor is the best fit. If you’re offered the job, it is understood you will take this assignment. Step Four: Credentialing (everyone) and state licensing (if needed). Step Five: Travel arrangements are finalized. Step Six: You are on your way! The process can take some time, especially if hospital privileges and state licensing is necessary. CompHealth has specialized teams to help their doctors through every step, including travel arrangements. Getting organized with all of your professional documents and being responsive to requests for information can speed the process and avoid delays. Dr. Charity adds that it can be trial and error to find a good company and a recruiter you work well with. She has had a good experience with CompHealth and currently works with Medical Doctor Associates. Both of these companies are members of an organization called NALTO, the National Association of Locum Tenens Organizations. The purpose of NALTO is to provide a foundation of industry standards and ethical guidelines for companies specializing in locum tenens. There is an arbitration process with NALTO, should a physician ever have an issue with a locums agency. Ready to pack your bags and have an adventure? If you have any thoughts about locums, it never hurts to call around and get more information. Who knows where the conversation might lead. You may be taking next summer off…..or be heading to the Sudan! I had pretty good assignments. However…..
might be some management or staff problems, hard to work with etc. Be careful! said let’s just split the money. Then I found out it was more like $45,000. So, I did not go to perm. Also I have to wait two years before I could work for them after being through Staff Care. and you might just want to have your attorney review this. Ann Roberson D.O. Ann, this is great information! Thank you for sharing the specifics of your experience and giving physicians a heads up on what to look out for. This kind of “insider information” is very valuable, as one would not necessarily think to ask about stipulations regarding permanent placement. All the best to you and thanks again for your comment. I can completely understand your frustration. Personally, I have been in healthcare recruiting for almost a decade now, and have no affiliation with Staff Care (other than they are literally right across the street from me, I can even see into their windows). If the job is a great fit for both yourself and the client, both sides should be able to negotiate a comfortable conclusion. In explanation of the 2 years/perm buyout… this is standard in the agency world. I guess the best way to look at it would be to put yourself in the place of the agency. A lot of time, money, and effort is spent on making these connections with both the client and the provider. Let’s say that a provider went to work directly at the facility after they were sourced, screened, negotiated pay, ran background checks, etc. The agency would be in the negative. Basically, paying to work. I can see both the positive and negative sides to this, however we always want to do right by both the facility and the provider. Hope that this helps, and if you need anything… please reach out. Chase, thank you very much for providing this helpful perspective from the “other side.” It is true that an agency can put in a lot of work on the front end and there needs to be some protection to not be cut out of the arrangement. The best way to avoid bad feelings and misunderstandings is to have transparency where the parties are fully informed of the terms and “what if” kind of scenarios. I appreciate your sharing in this discussion! Thank you! I’ve been doing critical care locums for a little over a year now. I’m not sure I’d ever sign a true contract again. I absolutely love the freedom I have. I recently counted how many shifts I worked last year and from May to May – I only worked 113 days and was able to more than continue the income I was receiving from a “real” job. For me, the freedom to choose when I work, where I work, whether or not I want to do nights or take call….It’s so worth it. Yes, I leave my family for 10 days per month (2 sets of 5 typically), but when I’m home, I’m HOME. No admin, no meetings. And if I find myself in a place that has to many issues (has only happened once), I simply don’t go back. I got into locums after a not-so-great contract experience with an employer. I’ve been all over the midwesst – Georgia, Missouri, Illinois, and South Dakota. I can’t even begin to express how many wonderful people I’ve met along the way. As for the self-employment status, it is a lot to learn, but we’ve adjusted. Oh, and I’m typing this as I’m on assignment – sitting here between craziness in the ICU enjoying some rare down time. I would be available to answer any questions anyone has. Great Comment Linda! Thank you for letting us know about your experience as an intensivist doing locums and for your generous offer to speak with interested physicians! Your words echo what Lynette Charity expressed about loving the freedom that locums offers. I wasn’t able to put this in the blog due to space constraints, but she also mentioned, as you did, the benefit of not having to do a lot of the administrative type work that is usually associated with permanent positions. It’s helpful to hear from you that locums was an answer to your burnout, and also that even though you have a family, you are able to make this model work. Congratulations on figuring out a way to still practice medicine AND enjoy your life! I also want to add that I’ve been able to learn about different cultures as well. I’d never experienced anything “southern.” – working in Georgia fixed that. And I’ve learned a ton about the Native American population in South Dakota. It’s been fascinating to meet these people and learn how people live in different parts of the country. Pretty interesting for this small-town midwesterner! This is another great point Linda. It is true that when we take a permanent position, we may be in that geographic area for a good portion of our career, if not all of it. You obviously have a very open and curious attitude towards people and life, and I am sure the patients you help enjoy having a doctor who goes out of her way to come and take care of them. For those who want to add even more cultural diversity to their doctoring, there are some companies that offer international locums. I cannot personally vouch for either of these companies, but anyone can certainly check them out: Global Medical Staffing http://www.gmedical.com/ and Vista Staffing Solutions (International Locums) http://www.vistastaff.com/physicians/international-placements. Happy Travels! Excellent writing , I was enlightened by the specifics . Does someone know where I could possibly locate a blank 2013 UK NHS Form GP Locum A version to fill in ?